A Chinese farmer has been found dead with severe artery wounds and covered in blood near a pigsty at a market in Liupanshui in Guizhou province, Guiyang Evening News reported. The man came to Liupanshui from the neighboring province of Yunnan and brought 15 pigs to be sold at the market. The next morning the farmer's body was found by a cousin who had accompanied the man. The culprit behind his untimely death turned out to be a hog weighing 250 kilograms (550 pounds). The creature had apprently attacked the farmer and bit his artery. 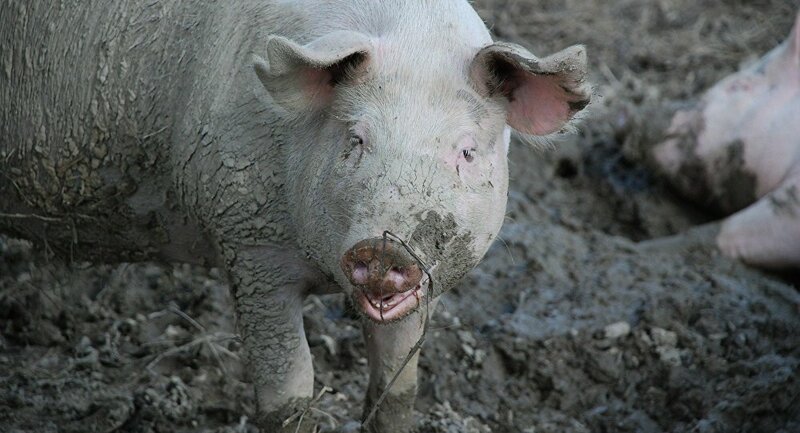 The animal was found in a nearby pigsty with an open door and had blood on its snout. The local police have not yet discovered who it belonged to. A manager at the market told reporters that the killer hog had now been locked away so it could hot harm anyone else and to preserve evidence from the scene of the crime. The market and the farmer's family are now arranging compensation with the help of the police.